In the #MeToo Era, employers who are focused on proactive sexual harassment prevention and response measures should also be mindful of other aspects of gender equity, such as pay equity. The Wall Street Journal recently reported that the U.S. Equal Employment Opportunity Commission (EEOC) is investigating Uber for potential gender discrimination in hiring and in its pay practices. The investigation is in line with the EEOC’s 2017-2021 Strategic Enforcement Plan, which included a focus on equal pay protections as a strategic priority. The #MeToo movement has sparked significant conversation around gender equality in the workplace, including gender equity in pay. Apart from the EEOC’s strategic focus on pay equity, there has been an increase in proposed pay-equity legislation at the state and local level around the country. Among other types of activity, some of the new state legislation bans salary history inquiries by employers in the hiring process based on the view that using such information to set a new hire’s starting salary perpetuates the long-standing societal gender pay gap. With all this attention on gender equity, employers may see a rise in internal pay equity complaints and lawsuits. As such, it is a good time to refresh on pay equity obligations. 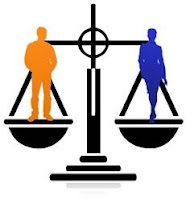 Numerous laws, including the federal Equal Pay Act, Title VII, and state and local laws, prohibit unequal pay for equal work based on gender. It is legitimate, however, to pay differently for reasons other than gender, such as differences in positions, job duties, skill, performance, and the like. In a recent survey of human resources executives, almost 50% reported that they are reviewing their compensation policies and practices to ensure pay equity compliance in light of the #MeToo movement. Employers undertaking this type of review should consider whether to conduct the review on their own or whether to involve legal counsel to create legal privilege around the results of the review. Absent legal privilege, the results of an internal pay equity analysis may be discoverable and, if negative, could be used against an employer in a governmental pay equity audit or litigation.